Packing for a trip can often be a pain. Especially if you’re in a rush, or heading to a place where the weather is unpredictable. Not to mention that planning out what you’re going to wear a week ahead of time can often be a challenge. 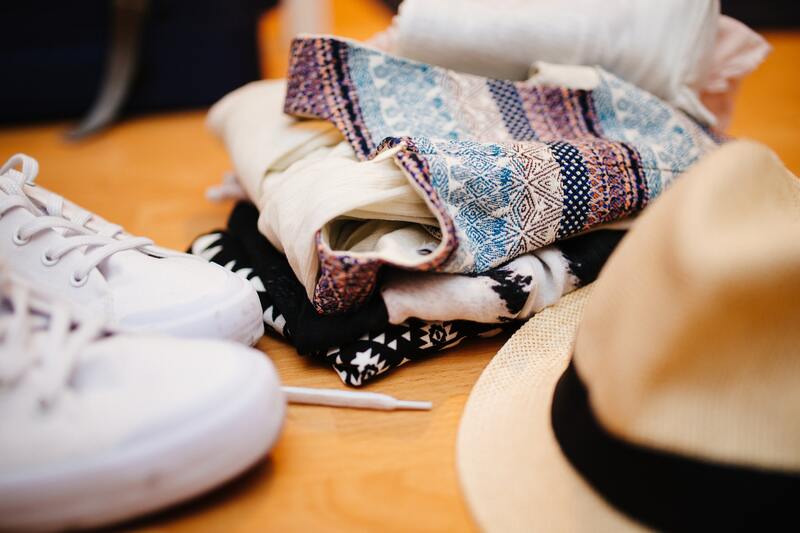 At SelahV Fashion we’ve found the perfect solution to make packing for your next trip a little bit easier. 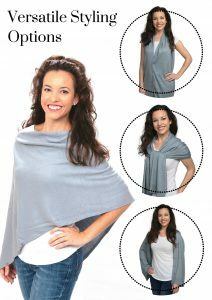 Our versatile women’s shawl that can be worn as a vest, shrug, scarf, or shawl, is the answer! Always chilly on flights? Heading to the coast? Taking a cruise? Our lightweight, but incredibly warm shawl is the best thing to take with you. It easily folds up and can fit into your purse or carry-on. The knit acrylic fabric is soft-to-the-touch and wrinkle-resistant. This shawl is great to keep in your car, your bag, or your office desk. Whenever you feel a chill it’s the best thing to have on hand. This shawl can be styled in four different ways. Using the 12 buttons that it features you can fashion it into a vest, shrug, scarf, or shawl. You’ll save room in your bag by packing one piece that can be worn in so many different ways. We currently have this wrap in silver grey, taupe, and black. These neutral colors are perfect for any outfit and any time of the year. They’ll quickly become staples in your wardrobe no matter what the season. Packing a functional and fashionable piece like our women’s shawl isn’t the only way you can make packing for your next trip easier. Roll your clothes, don’t fold them. Not only will this prevent your clothes from becoming wrinkled, but it will also save you room in your suitcases. More space for souvenirs! Make a list before you start. Nothing is worse than getting to your destination and realizing that you forgot something essential. By making yourself a list you’ll be sure to not forget anything, and you’re less likely to overpack. Bring extra bags. This can include collapsable/foldable tote bags, like our water-resistant duffle bag, or plastic bags. You never know when you might need to separate some dirty or wet clothes and shoes from the rest of your belongings. This is especially important if you’re headed to the beach.